1. 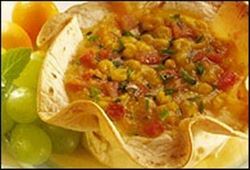 Preheat oven to 400 degrees F. Spray both sides of the tortillas with cooking spray and press into large muffin tins or custard cups. Bake for 10 minutes or until tortilla just begins to turn golden. 2. Remove from heat and cool slightly. In medium bowl, beat together eggs, milk, flour, hot pepper sauce, corn, ham, cheese and chives. Season to taste. 3. Pour mixture into pre baked tortilla shells and bake at 400 degrees F for 20 minutes, or until set. Serve warm with your favorite salsa. 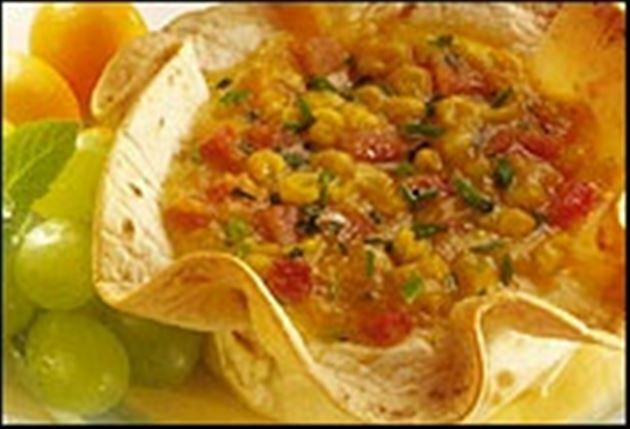 Enjoy this delicious quick ham and cheese quiche Mexican food recipe!